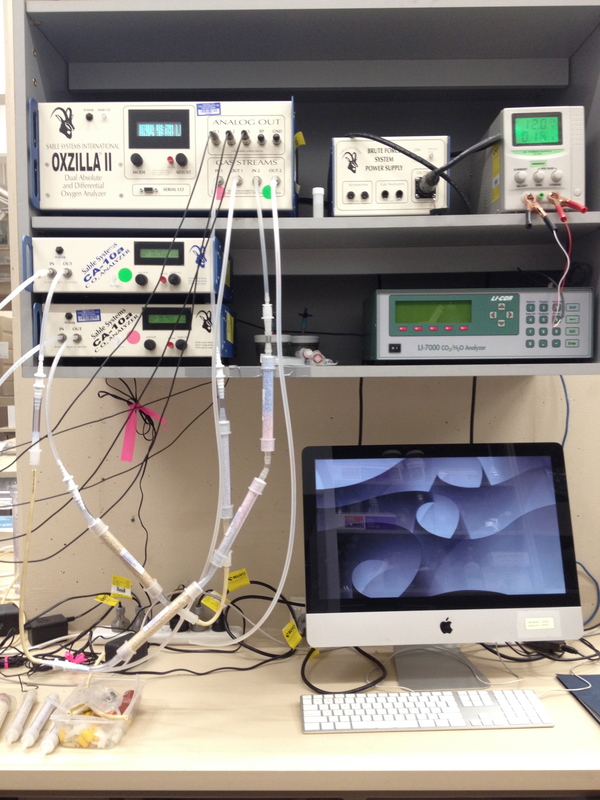 The biophysical modelling R package NicheMapR is a suite of programs for computing the heat, water and nutritional budgets of organisms. 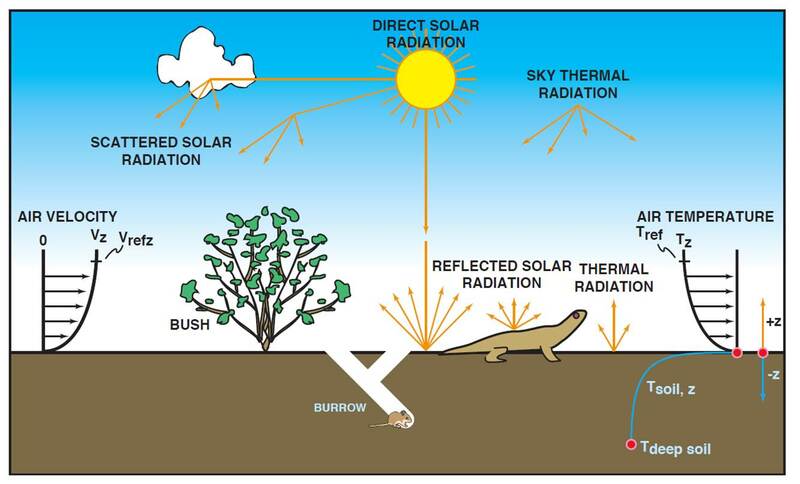 These include the microclimate and ectotherm models originally developed by Warren Porter and colleagues at the University of Madison, Wisconsin, as well as a range of related programs. The fourth release of NicheMapR (version 1.1.3) is now available for PC and Mac at Michael Kearney’s github releases page. 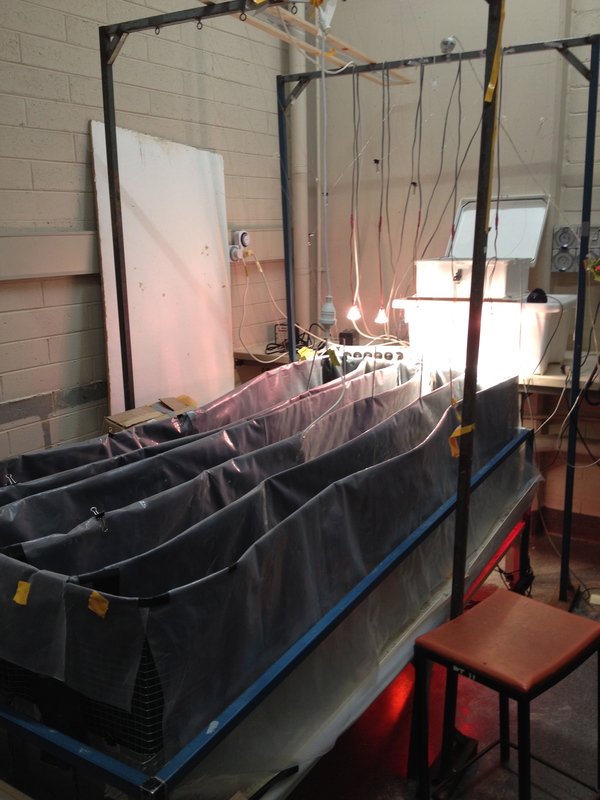 This release has a finalised (fully documented) version of the microclimate model that includes recently added capacities to model soil moisture, snow and an experimental (untested) rocky shore mode. The release also includes an operational version of the ectotherm model although documentation of this model is not yet complete. The endotherm model is anticipated to be included later in the year. Alternatively, if you use RStudio you can just use the ‘Install Packages…’ option under the Tools menu to do the same thing. You’ll also need to install the following CRAN packages, which NicheMapR makes use of for some proceedures: dismo, geonames, lattice, geonames, raster, XML, readr, rutils, ncdf4. If, after viewing these help files and working through the tutorials, you still have questions about the package, please post them on the NicheMapR Google Groups page. Microclimates are the critical link between physiology and climate. Most modelling approaches that use climate data do not explicitly include known aspects of an animal’s physiological sensitivity to climate because the available data are at the wrong scale. To facilitate the development of physiologically explicit models of the role of climate in limiting distribution, abundance and behaviour, we published a global microclimate dataset in the new journal Scientific Data. You can find it here. 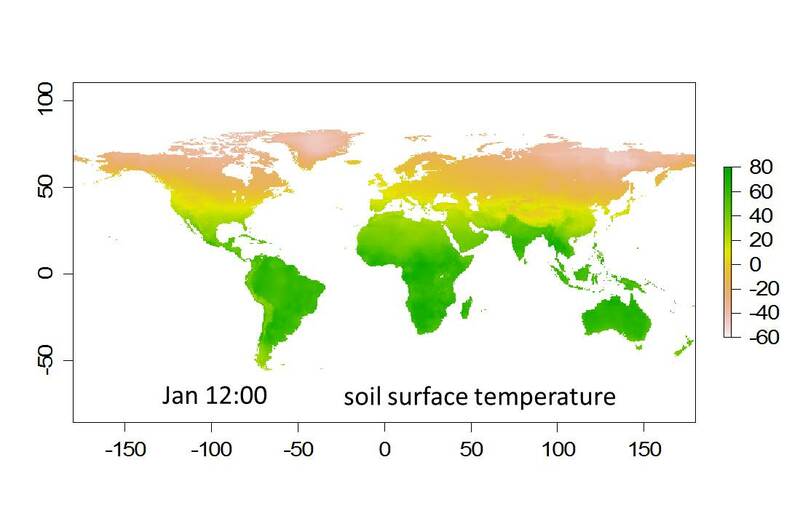 This data set comprises gridded hourly estimates of typical microclimatic conditions (air temperature, wind speed, relative humidity, solar radiation, sky radiation and substrate temperatures from the surface to 1 m depth) at high resolution (~15 km) for all terrestrial landmasses except Antarctica. The estimates are for the middle day of each month, based on long-term average macroclimates, and include six shade levels and three generic substrates (soil, rock and sand) per pixel. 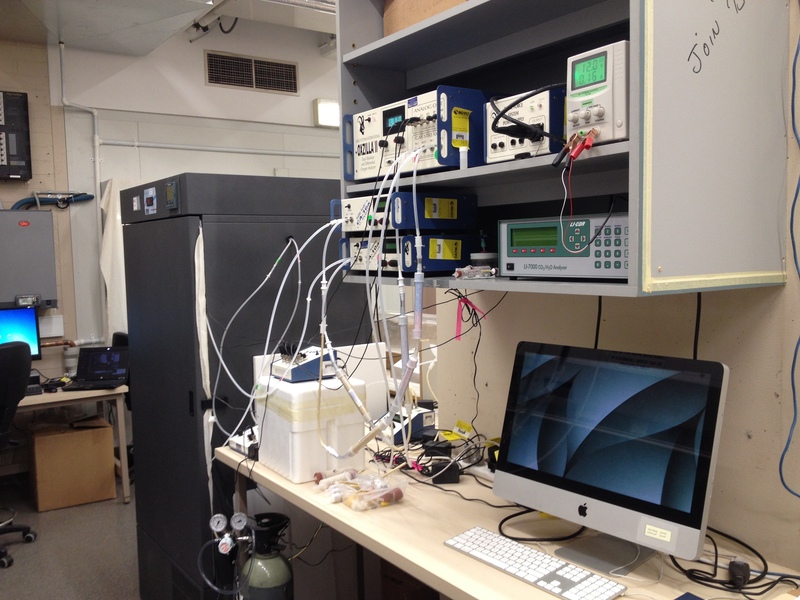 These data can be used as inputs for biophysical models of heat and water exchange of plants and animals. The can also be used to develop more ‘proximal’ layers for correlative species distribution modelling methods. 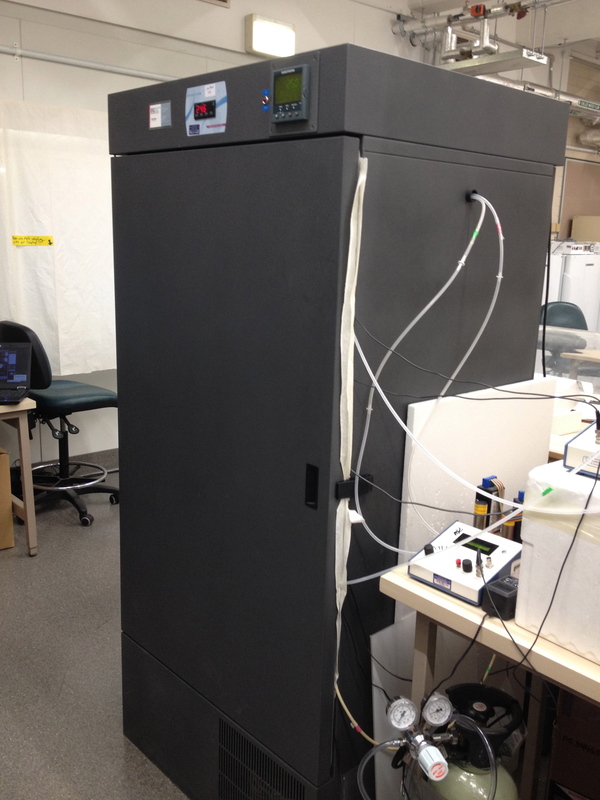 This thermal gradient was built (thanks to Ian Stewart) in 1997 for Mike’s honours project at Monash University on thermoregulation in geckos, and is still being used for a wide range of projects. We have a range of incubators, including one large Steridium cycling temperature & humidity-controlled chamber and 4 smaller temperature/light-controlled chambers. We have large (3.8 x 5.5m area), custom built ‘weather room’ that can range in temperature from 5-40 °C and 20-80% relative humidity (as well as UV and fluorescent lighting and high wattage radiant heating) under any daily sequence.